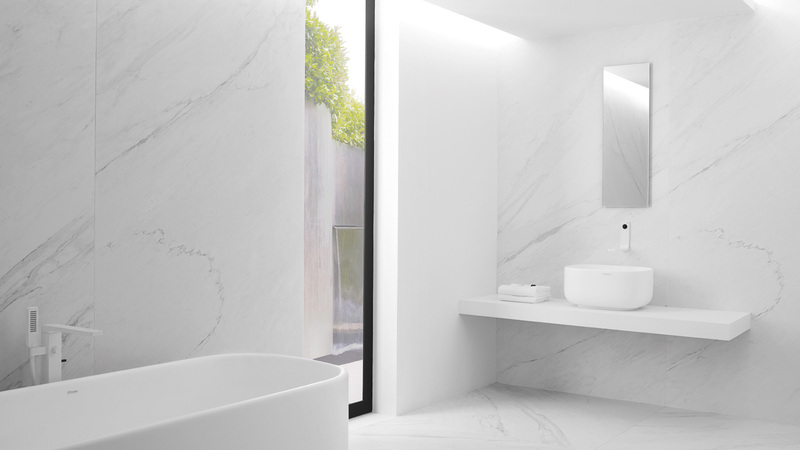 At present, beyond natural materials and thanks to the innovation in ceramic technology, all kinds of surfaces can be reproduced which, provide the bathroom with high functionality and comfort, without foregoing an attractive original aesthetics. Making use of wood in spaces which are as delicate as the bathroom is, can be possible thanks to the innovation in porcelain tiles. 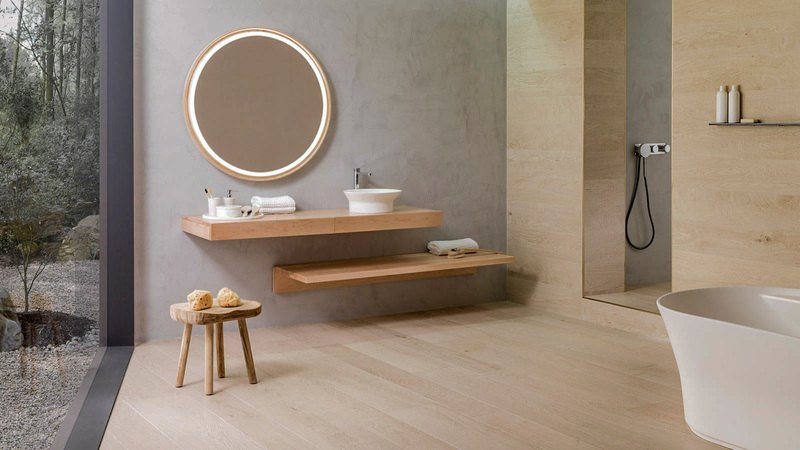 Pieces which are inspired by natural wood that offer the warmth and calmness of a spa, without forsaking the ceramic resistance to water and humidity, as well as the easy maintenance. 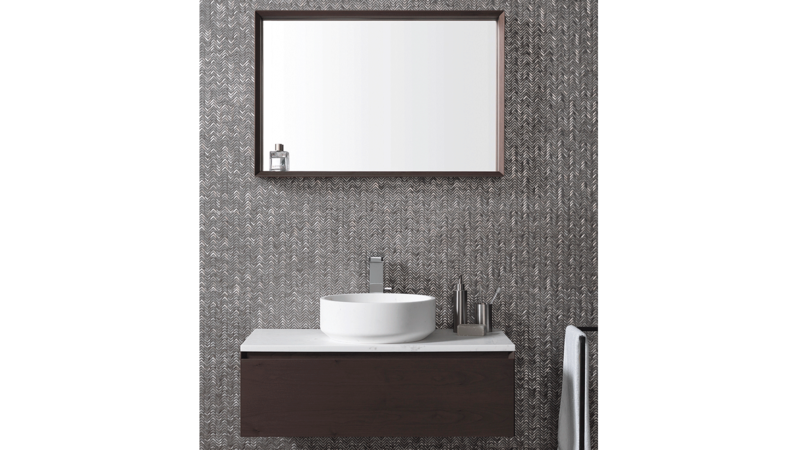 Porcelanosa, though its Par-Ker ceramic wall tile, makes it possible to include the wood effect in bathroom wall tiles. Even inside or with the shower tray, thanks to the Shower Deck technology by Butech. 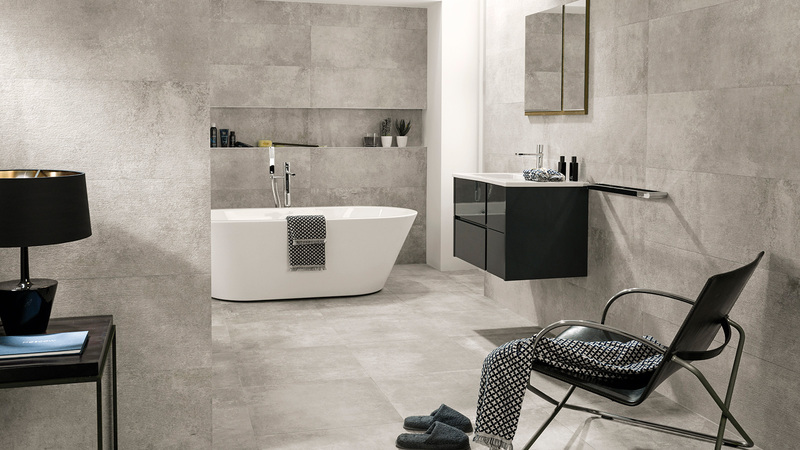 Bathroom standards make the XLight porcelain tile by Urbatek become one of the most suitable materials for this very room. This high-performance product is highly resistant to stains and has easy-to-clean properties. 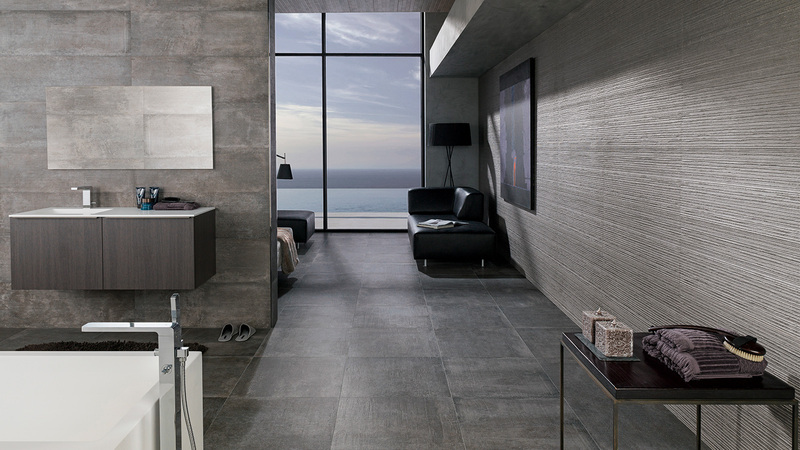 Additionally, its large-format porcelain tile, 120cmx250cm, reduces the number of joints in the wall tile and allows for a single piece to go from the floor to the ceiling. 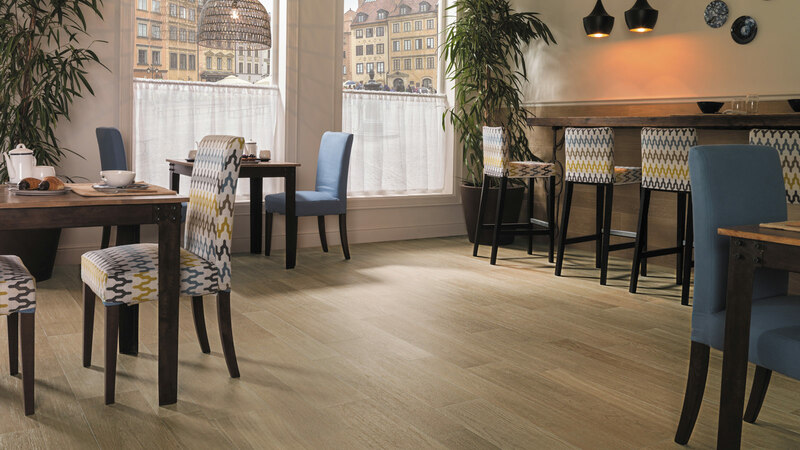 Among its models, it is worth highlighting the Savage collection in a dark grey colour, which plays a leading role in tobacco tones, irregular grey and white veining in a tree shape. 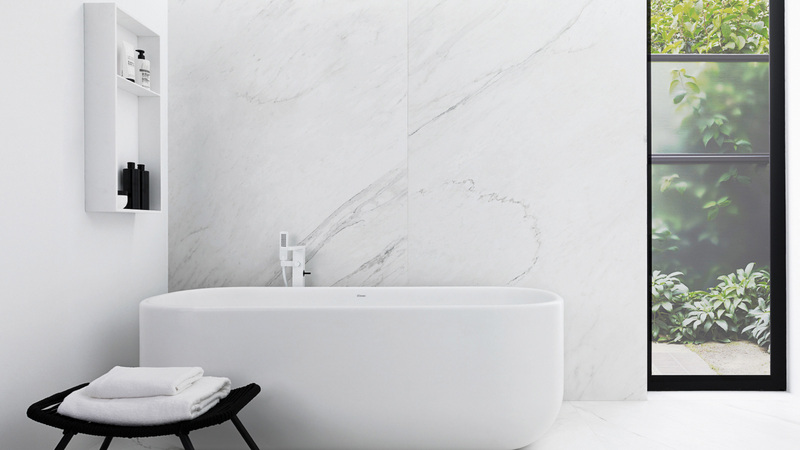 As well as that, there is the Lush collection, which reproduces the purity of the whitest marble through a fine uniform veining with great coloured tones in beige, brown and grey. 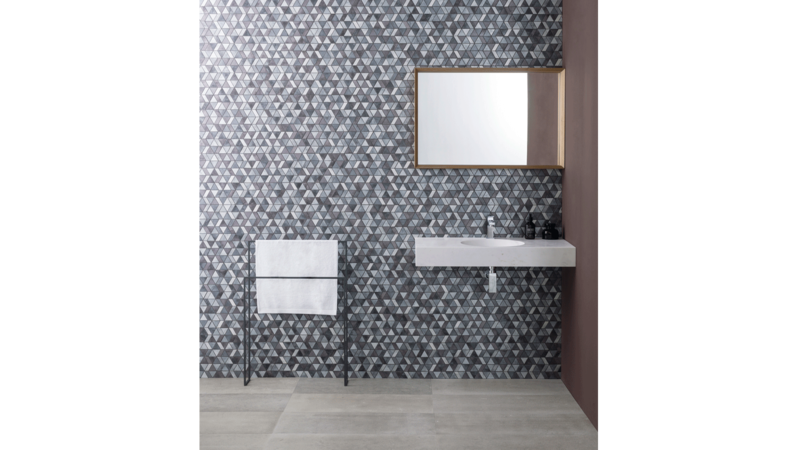 Covering the walls with an extremely resistant and clean wallpaper is possible thanks to Porcelanosa. 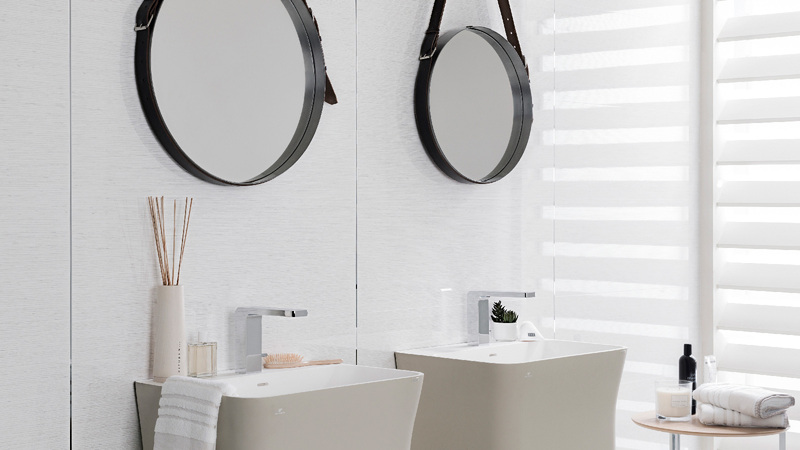 The Brunei Blanco wall tile achieves a paper texture through light horizontal tones in grey which are overlapped on a surface in white, in a gloss finish. 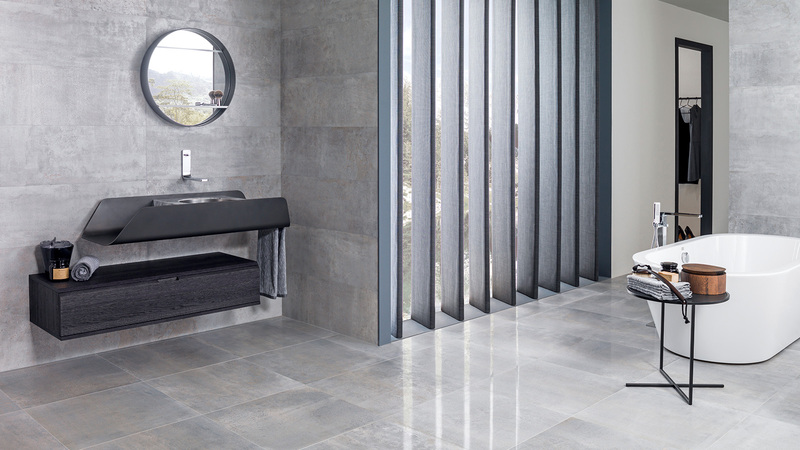 Additionally, the Japan line Marine wall tile shows off a design where blue leads the way with vertical stripes in light grey, in a matt finish. Two timeless designs inspired by the weave of a textile piece. 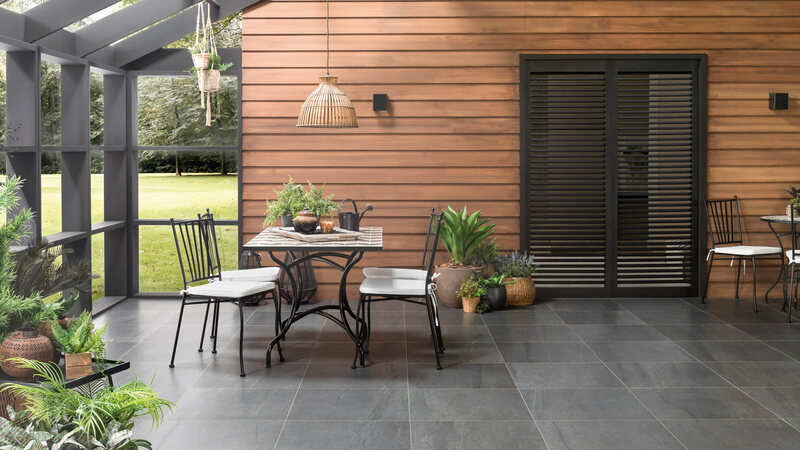 The rough, unpolished finish of cement is the prominent feature of the Baltimore and Metropolitan coverings from Venis, ideal designs for spaces in which an industrial style atmosphere and minimalist touch are sought. 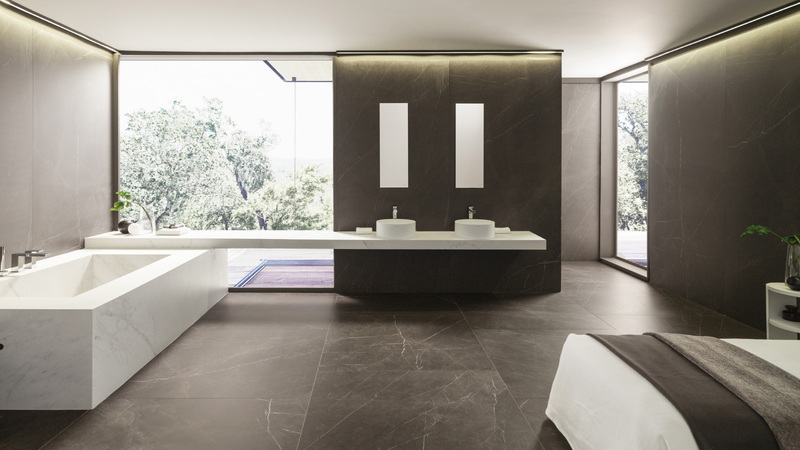 These two atmospheres can also be obtained with Newport, one of the premium collections from this Porcelanosa Group firm, which has expanded this year with the Newport Nature line, a more sophisticated cement particularly intended for large spaces. 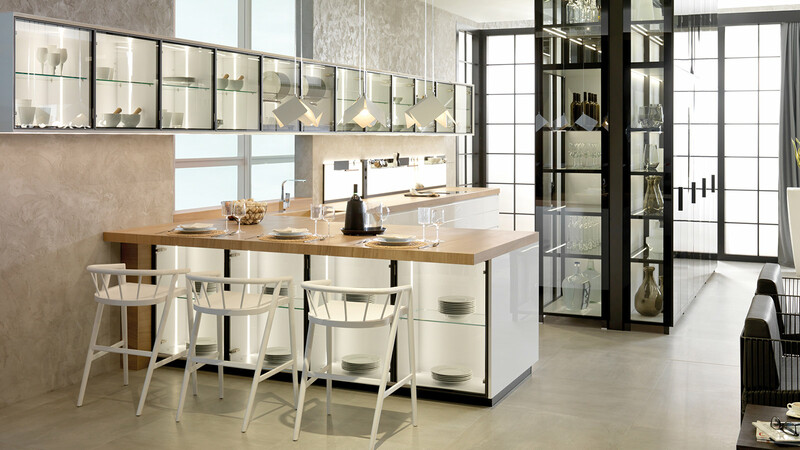 L’Antic Colonial, the firm that specialises in natural materials, offers stunning pieces such as mosaics made of natural stone, glass and aluminium. 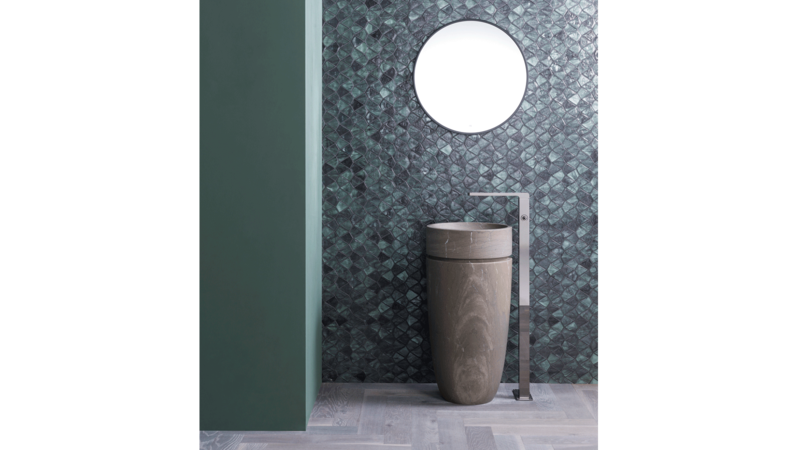 Elements which perfectly measure up to bathroom standards, as well as offering decorative solutions, such as the Universe collection, done with geometric tiles made of enamelled volcanic stone; or the Aqua collection, a piece of organic nature which, through its bluish tones and glazed composition, provides the space with a higher visual range and brightness. Essential aspects in those compact bathrooms which have little space and brightness. We are dealing with designs which need the Imperband laminate, a waterproofing system by Butech which protects floors and in this case, walls against leaks and humidity.